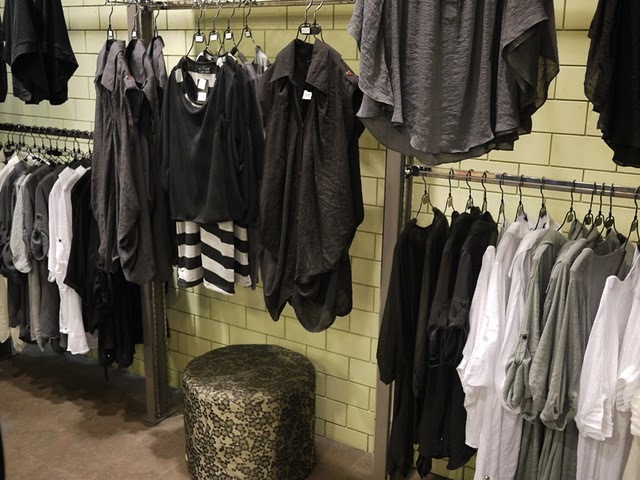 My friend Pam loves layering, and dressing up in a palette of gray, black and white. Her label Willow Clothing is a reflection of her style, and she's gained a following from similarly minded girls who appreciate her slouchy chic aesthetic. Willow Clothing recently released a new collection called Modern Androgyny which should be coming soon at The Ramp Trinoma, Glorietta and Crossings Shangri-la. But before you head off to check out Willow, Pam and I are giving 10 lucky readers a taste of what Willow is about via the Willow Wrap! It's a multi-way piece that will bring a lot of mileage to your wardrobe! These come in black, charcoal, heather gray, oatmeal, mocha, dark chocolate, cream, mustard, navy, and aubergine. Pam says, "This is made of lightweight knit that's good for cooler days in Manila or for travel, and can be worn in so many ways." - What color of Willow Wrap do you want? - Where do you like to shop? - If you had unlimited shopping money, where would you shop? 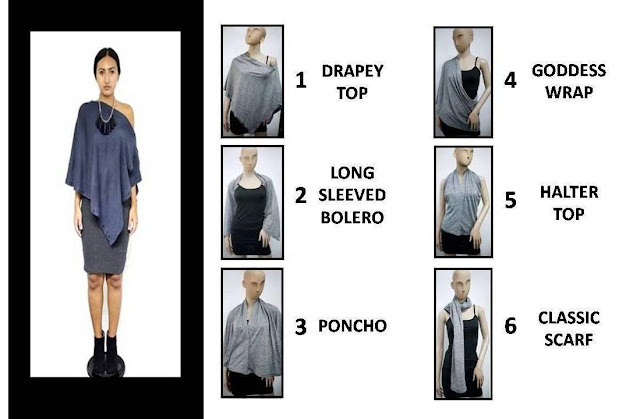 *If you would prefer to enter the giveaway via private email to me, do all of the above and send an email to manilafashionobserver@gmail.com with the title: MFO Willow Wrap Giveaway and leave a comment on this post saying, "MFO, I want a Willow Wrap!" **Winners can request what color they want but Willow cannot guarantee that they can get their first choice as it is also subject to stock availability. ***Winners can pick up their prize at The Ramp Glorietta, The Ramp Trinoma, or The Ramp Shangrila so that they can pick the color. Otherwise, Willow can ship anywhere in the Philippines, and the color will be a surprise. MFO, I want a Willow Wrap! Simple & comfy, though I do like layering. I loooove oversized granny-ish cardigans the most! MFO, I Want Willow Wraps! - What color of Willow Wrap do you want? I'd love to have the charcoal Willow Wrap! I would shop at Zara! If you had unlimited shopping money, where would you shop? -- Chanel in Rue Cambon! Thrift Shops, this is where you can find everything and it's so cheap. it really depends on my mood... sometimes i can go girly, bohemian, preppy and most of the time, Edgy. :) and I looooooovee oversized tops and short pants. If you had unlimited shopping money, where would you shop? High street brands for sure cuz I can finally afford it without feeling a dent on my pocket! - If you had unlimited shopping money, where would you shop? New York! - Describe your personal style - currently easy maternity and in the future easy nursing access wear. haha! "MFO, I want a Willow Wrap!" What color of Willow Wrap do you want? If you had unlimited shopping money, where would you shop? 2. Liked Willow Clothing & MFO on Facebook. 3. What color of Willow Wrap do you want? I'd like to have it in charcoal. No particular place, but I love sale & bazaars. If I've got tons of money I'd like to shop at TODS or Chanel. I'll also shop for everyone. Very basic and must be comfortable. I have pieces that I can mix & match. I would accessorize sometimes to change the look. Aside from all baby stores (for my baby) hehe, I like shopping at MNG, Zara, Forever 21, Tango, Topshop and in Divisoria! In zara and h&m, so that I can shop for myself, hubby and my baby girl! - What color of Willow Wrap do you want? I'd like the mocha color. Comfort is key for me, more on relaxed and simple. - I love color blocking! MFO, I want a Cream Willow Wrap! I'd like to dress up like a twelve year old kid all the time. I like anything pink. I love dresses + cardigans + wedge = style. - What color of Willow Wrap do you want? Charcoal! trinoma or SM , wherever is on SALE! - I'm a t-shirt, jeans and sneakers type. I like shirts that have a unique cut. - Anywhere! As long as it fits and I like the style, then I go for it! I can be a cheapskate and a super-low maintenance girl. - Black Sheep. I like weird clothes. And of course, my cheap finds stores. - I'm a weird dresser.Comfort over style. I'm more of a t-shirt, sneakers kind of girl. preferably black.. but any color is okay.. I'm a t-shirt, pants/shorts and flip-flops type. Charcoal! I don't want to go with black, but I think charcoal's a pretty close color but still versatile. - If you had unlimited shopping money, where would you shop? kahit saan! basta I'll find something that I like and suits me well. I might go to Greenbelt shops, places that are far beyond my budget as of this moment, just to see what I've been missing.